If you get divorced you should be aware that, in a decision called Majauskas v. Majauskas, the New York State Court of Appeals determined that retirement benefits earned during a marriage are marital property, which means that, in the event of a divorce, your ex-spouse may be entitled to a share of your benefit. However, the division of your retirement benefit needs to be in the form of a domestic relations order (DRO ) — a court order that gives us specific instructions on how your benefits should be distributed. Once we approve your DRO, it must be signed by a trial court judge and entered with the appropriate court clerk. We require a certified copy of the signed DRO and a copy of your judgment of divorce prior to implementing the terms of the DRO. Payments will start when your retirement benefit is calculated and finalized, and will be retroactive to your date of retirement if we receive the DRO and judgment of divorce before your retirement benefit is finalized. 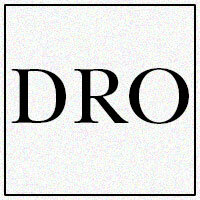 Remember — a DRO is not to be confused with a judgment of divorce or separation agreement. It is not the same. The DRO is a separate court document which, once accepted by NYSLRS, is legally binding on us. Please read our Guide to Domestic Relations Orders before you finalize your divorce. Significantly, the DRO won’t distribute any portion of your pension until you actually retire, die or terminate your NYSLRS membership. The parties may draft their own DRO or create one using our DRO template. Submissions received using the NYSLRS’ template are given priority review. Please fill out the template completely. Once you have created a proposed DRO, please print a copy and submit it, along with a copy of your judgment of divorce, to our NYSLRS Matrimonial Bureau for review. Our Matrimonial Bureau will provide an interpretation of your proposed DRO before you submit the draft DRO to the court. If the DRO cannot be implemented by NYSLRS, you will have a chance to make revisions. Still have some questions? Our Divorce and Your Benefits FAQs may be helpful. Otherwise, you can always email us at dro@osc.state.ny.us. Content last revised July 30, 2014. This entry was posted in General News, Members and tagged benefits, Divorce, ERS, New York State & Local Retirement System, NYSLRS, PFRS, retirement, retirement planning on June 11, 2014 by NYSLRS. I have a question, is the recent DRO court order concerning retirement sharing with a divorced spouse retroactive.? Or does it concern only future retirees? Thanks for your question. It’s been quite some time (approximately 30 years) since The New York State Court of Appeals determined that NYSLRS benefits constitute marital property and are subject to the equitable distribution provisions of the Domestic Relations Law and so we are unsure of the “recent DRO court order” you are referring to. Generally, divorced or divorcing NYSLRS members need to know that any division of their retirement benefits must be stated in the form of a domestic relations order (DRO) –a court order that gives us specific instructions on how benefits should be distributed. If your question has to do with your own personal circumstances, we encourage you to email us using the “Contact Us” page of our website, at http://www.osc.state.ny.us/retire/contact_us/index.php, and one of our representatives will contact you regarding the specifics of your situation. I started NYS in 1989 and will retire this year. I married 10/90 and divorced 8/96. Do I need to submit anything when I retire? There is DRO and my pension was NOT part of our divorce settlement. For questions about domestic relations orders, please email our customer service representatives using our secure email form. One of our representatives will review your situation and let you know whether we need a DRO. Filling out the secure form allows us to safely contact you about your personal account information. Please allow five to seven business days for a response. That depends on your specific circumstances. Retirement benefits are considered marital property and can be divided between spouses when the marriage ends. Any division of benefits would have to be stated in the form of a domestic relations order (DRO) — a legal document that gives us specific instructions on how benefits should be divided. You may want to read our Guide to Domestic Relations Orders and review our DRO FAQs. For account-specific information, we recommend emailing our customer service representatives using our secure email form, or calling them at 1-866-805-0990. One of our representatives will review your account to address your questions. Filling out the secure form allows us to safely contact you about your personal account information.